A Chairmanship candidate of the Peoples Democratic Party (PDP) in Plateau State, Chief Ayuba Gufwan has announced his intention to withdraw from the party over "unsavory, discriminatory and divisive comments" against him by some officials of the party. According to him, ranking members of the party, the State leadership and the party's gubernatorial campaign organization had made comments while scouting for a gubernatorial running mate, suggesting that persons with disabilities were not fit for election or appointment. The comments he said are "unbecoming" and "insensitive" of a political party which has "equity" as its moto. "It invariably means that beyond lip service, our leadership still has mundane thoughts about the capacity of person's living with disabilities," Mr. Gufwan said in a press statement on Friday. Burki as Gufwan is popularly called recalled that twice he had aspired for elective positions on the ticket of the party with tremendous support because people believe in him, despite being physically challenged. "If the electorates could look beyond my disability, then the action of our party is unfortunate and offensive not just to myself but to persons living with disabilities the world over. "Are we saying that people living with disabilities cannot and should not be supported to aspire for elective positions if they possess the mental capacity for such? "If the United States of America had discriminated against the likes of President Roosevelt and the popular musician Stevie Wonder, America would have been denied of their immense contributions to the development of that country. 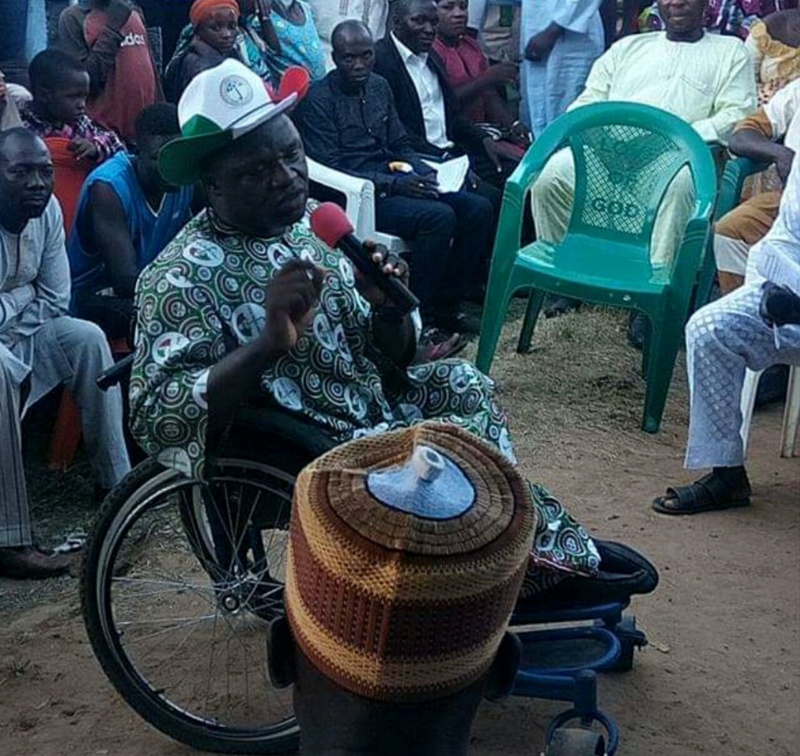 "Here in Nigeria, people like, Governor Tanko Almakura the Governor of Nassarawa State who suffers from hearing impariment, our Father and statesmen, Senator VK Dangin and Cobham Asuquo have contributed tremendously to nation building and continue to make us proud despite having physically disability," he stated. The acclaimed winner of the October 10, 2018 Local Government Chairmanship elections for Mangu LGA reminded the party that he had made several contributions to the building of the party but would not hesitate to withdraw his membership in standing for the rights of people living with disabilities. He said, "I have invested my time, resources, and contributed immensely to garnering goodwill for our party but if it comes to choosing between political party membership and standing for the rights of people living with disabilities, I will choose the latter. "If indeed we appreciate the votes of people living with physical disabilities, why then do we hold discriminatory opinions about them, and do not accord them equal opportunity to aspire and hold positions?" Mr. Gufwan who is the founder and Chief Executive Officer of a local foundation, Beautiful Gate Handicapped Centre, Jos however said his withdrawal from the PDP was not for the purpose of defecting to any party. Rather, it is a protest against any form of discrimination of people especially those living with disabilities, he said. The State Party Chairman, Hon. Damishi Sango in a swift response however published a purported apology on behalf of the entire PDP family. "I know it hurts," he said stressing that in spite of Mr. Gufwan's physical challenge, many still believe in him. He said, "Remember that your opponent, that you roundly defeated, has no such challenge. "Your people and our great Party love you. I hope with this apology from me on behalf of the Party you will reconsider your position and reverse your decision," the purported apology circulated on social media read. As of the time of publishing this report however, Mr. Gufwan had not responded to the apology to say whether or not he was reconsidering his decision.